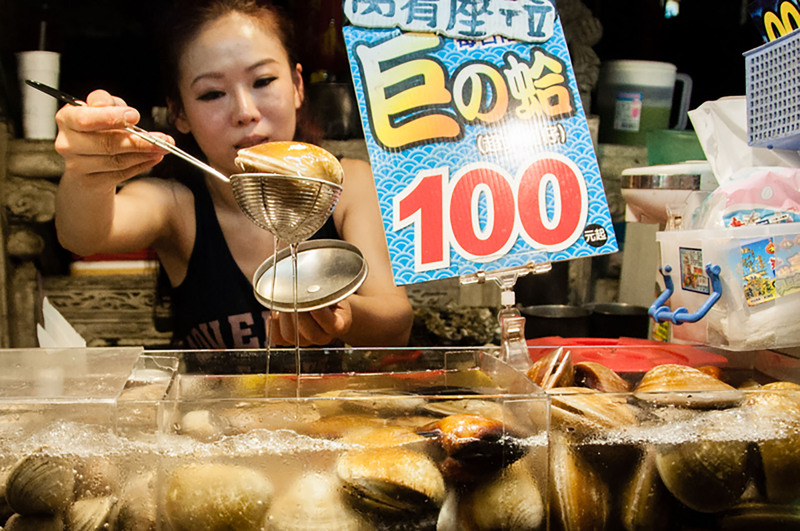 A trip to Taiwan wouldn’t be complete without checking out the street food scene at a night market. 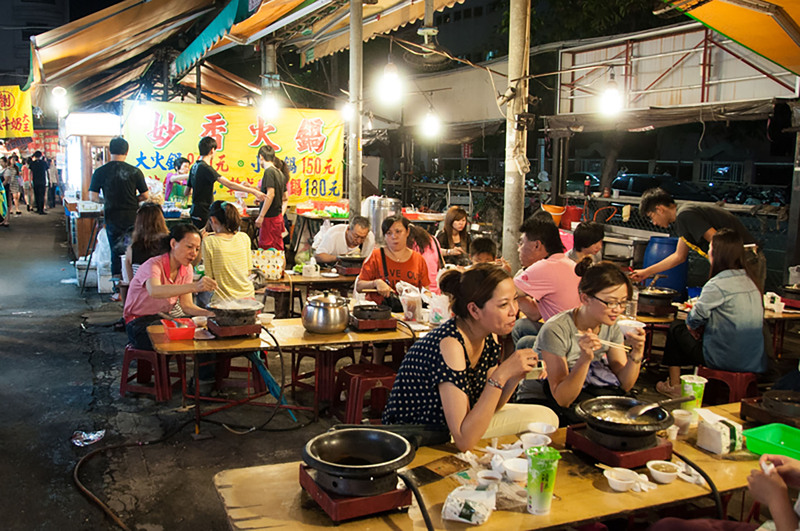 As a keen food lover, visiting a night market and filling my belly with unhealthy goodness is a must-do experience while visiting Taiwan. 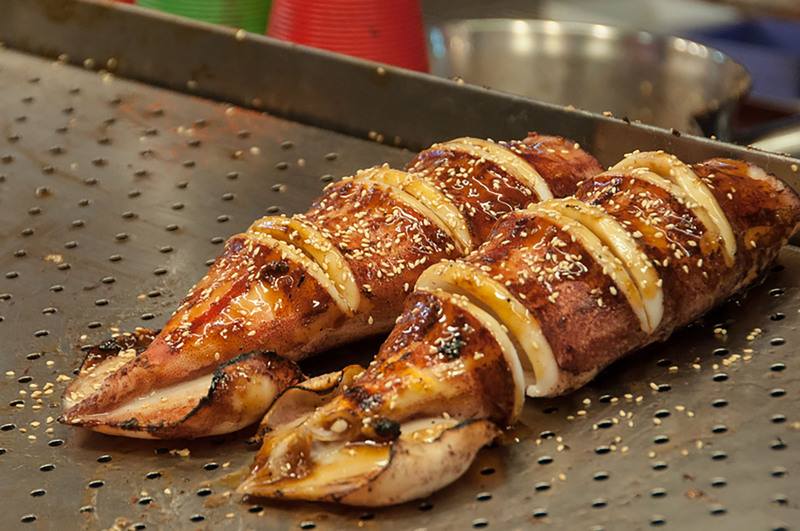 Like many Asian countries, the love for small-eats is a big thing. 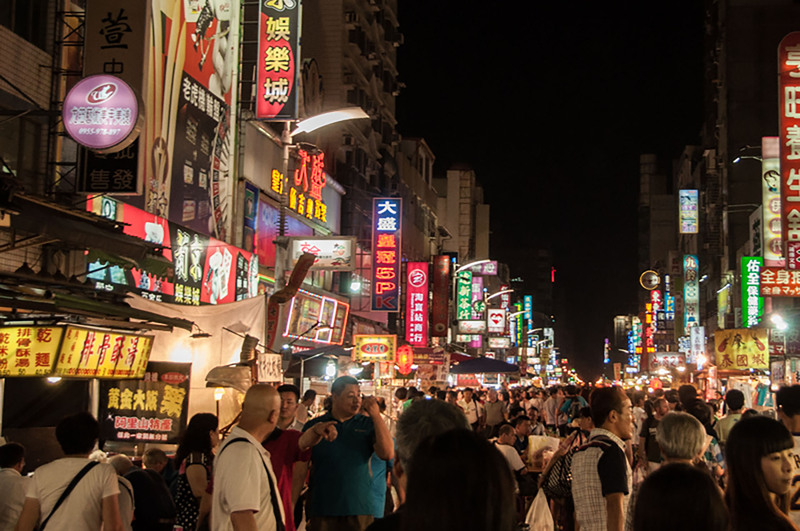 Meandering through crowded streets and stopping every now and then to buy a yummy snack is a deeply entrenched food culture, especially indulged in Taiwan. 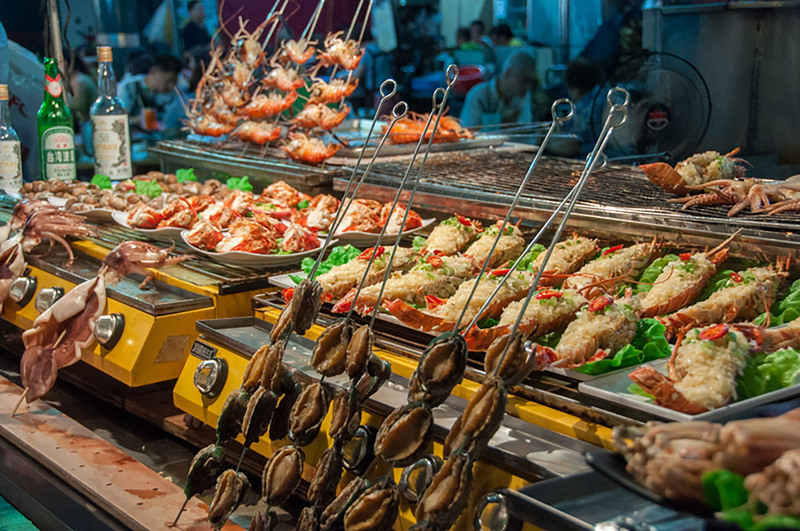 So instead of sitting down for a three course meal, picture the whole market as a buffet table where you can fill your belly as you walk with a variety of food for as cheap as 50p to £1 a dish. Trick is to pace yourself. 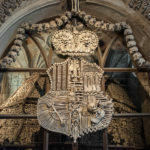 Because as tempting as it is to fill-up at the first vendor you see, remember that there is always a possibility of another tempting morsel just around the corner. 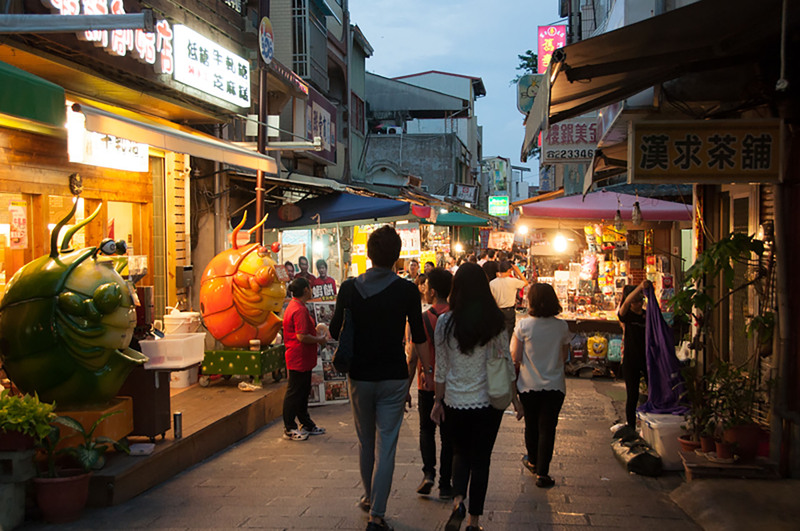 During my trip to Taipei and Kaohsiung city, I visited three of their popular night markets – Shilin, Liouhe and Ruifeng. 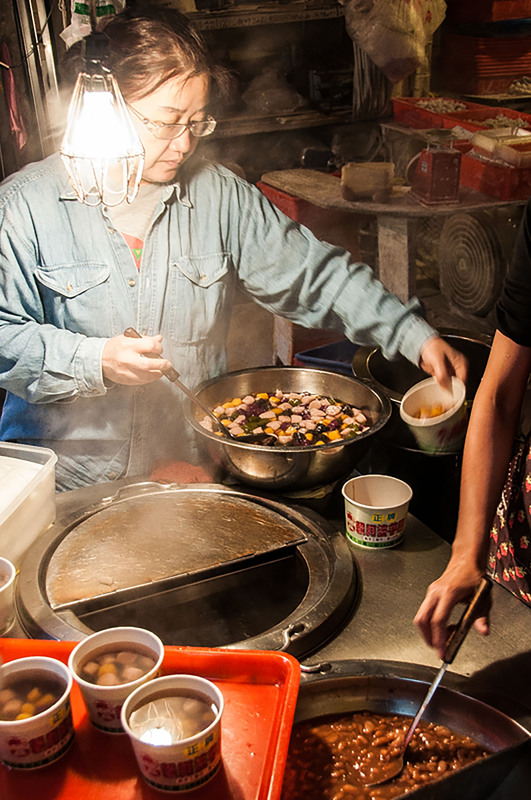 Each has a different atmosphere, with an array of vendors selling Taiwanese street food from sweet to savoury. 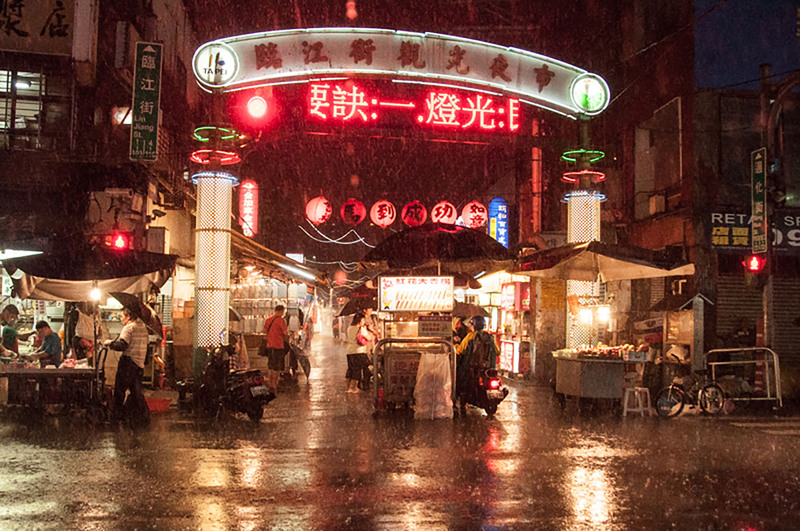 Shilin market is one of the more well-known markets in Taipei. 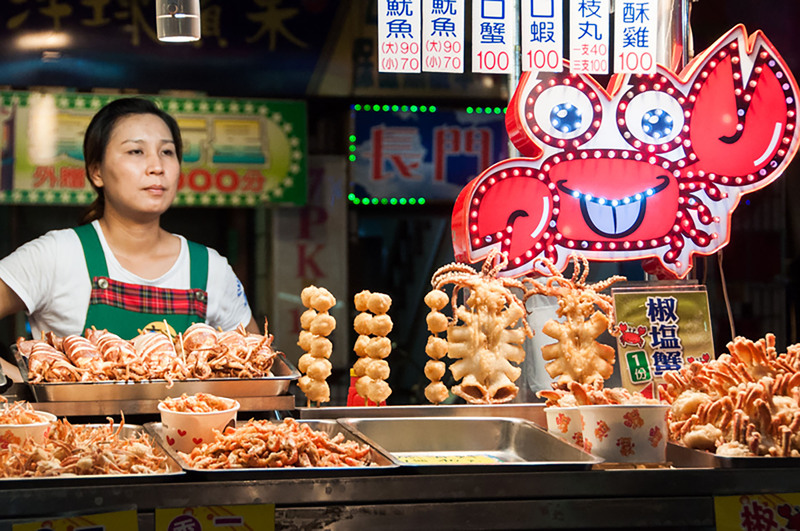 It is a labyrinth of food courts, side stalls and alleyways that offer a giddy mix of food and goods. 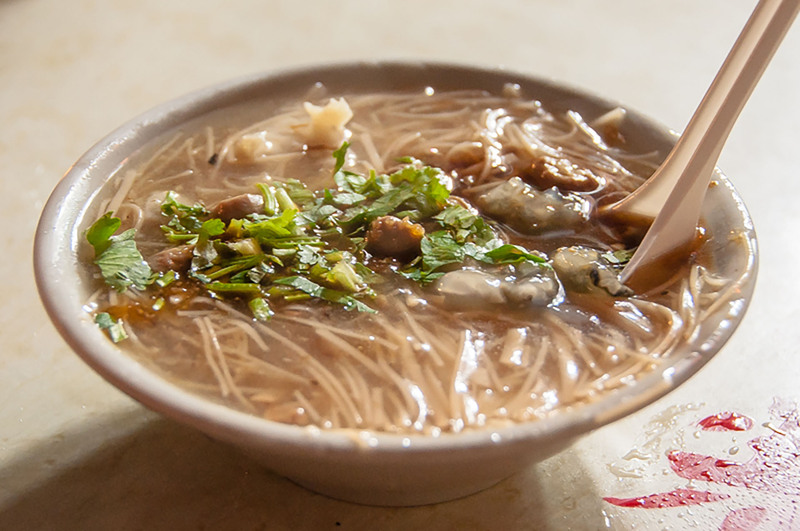 In an effort to avoid the tourist hotspots, I explored the alleyways where I laid eyes upon a food cart selling an interesting, gooey oyster noodle soup serviced by an older lady. 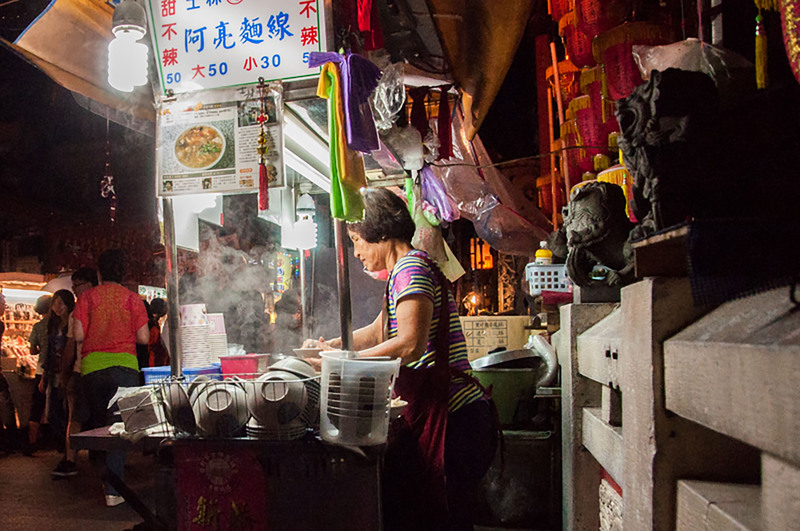 It was my first real taste of Taiwanese street food and remains my favourite throughout my trip. I found out later that it is called Oyster Mee Sua. It was hot, peppery, and starchy which somehow tasted incredibly satisfying. 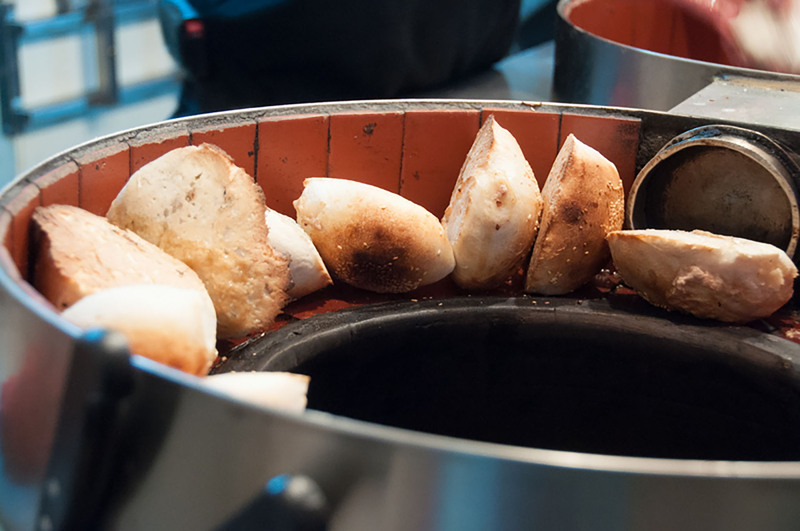 Venturing further afield, I sampled their famous peppered pork buns baked in a special round oven (much like a tandoori oven) and grilled king oyster mushrooms sprinkled with chilli powder. 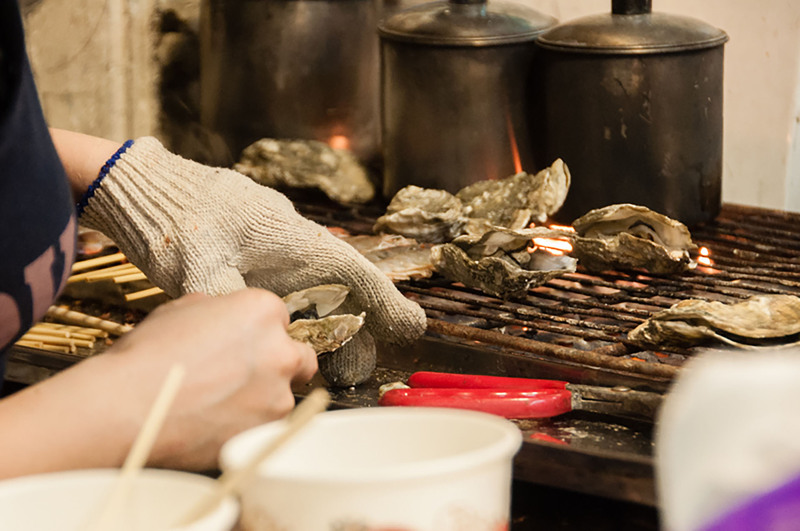 And later, while I waited for my fresh oysters to grill, I watched the locals mingle at the market. It was nice to see that some were even engrossed in a movie projected on a screen outside a temple. 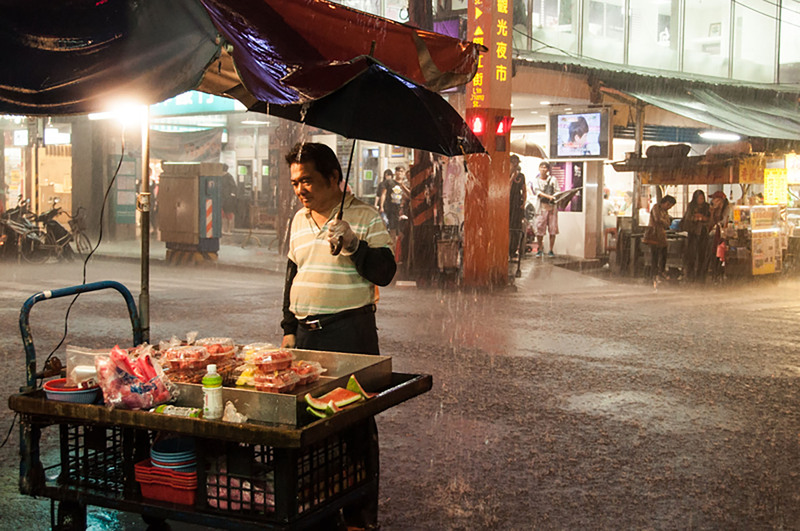 If there were any tourists at this intimate part of Shilin market, they didn’t stand out. 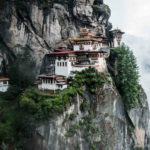 Liouhe, however, is a major tourist hotspot and was plain to see. The street is wide and every street stall appeared to be in competition to out-do each other in colour, sound, smell, lights and of course, food. 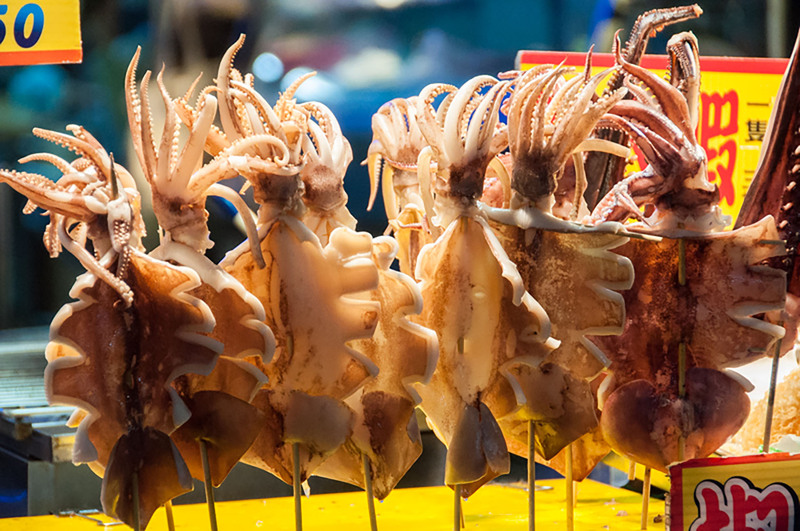 Fresh seafood, grilled squid and processed meat on sticks spill out of every cart in an attempt to attract the gaggle of tourist groups who wandered past. 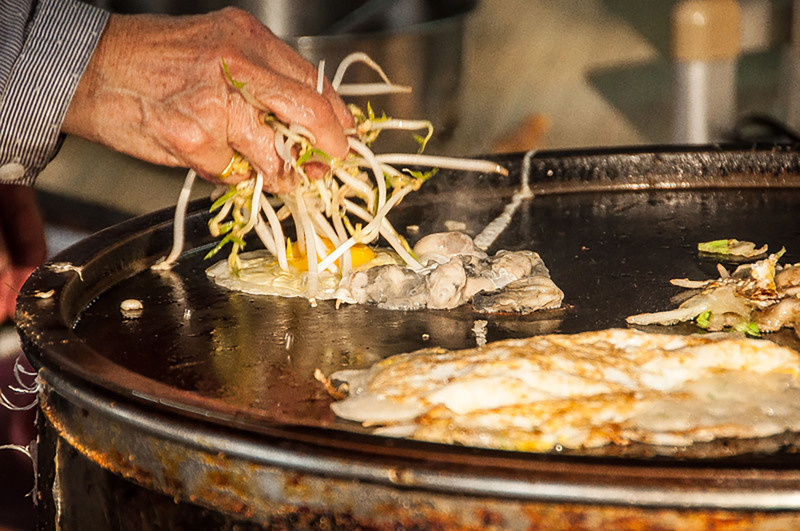 Many have tables alongside their stall so that the food can be cooked on demand and eaten while seated. 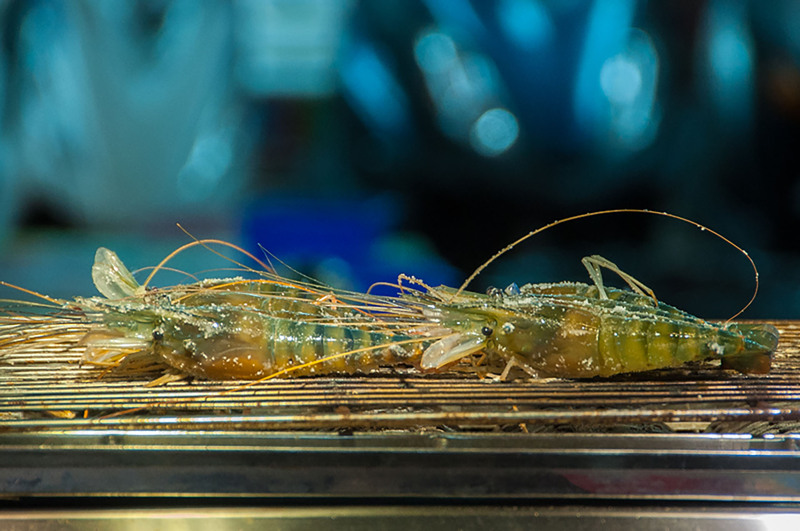 There were even some curious looking crustaceans on display that made a visual impact but didn’t quite appeal to the stomach. 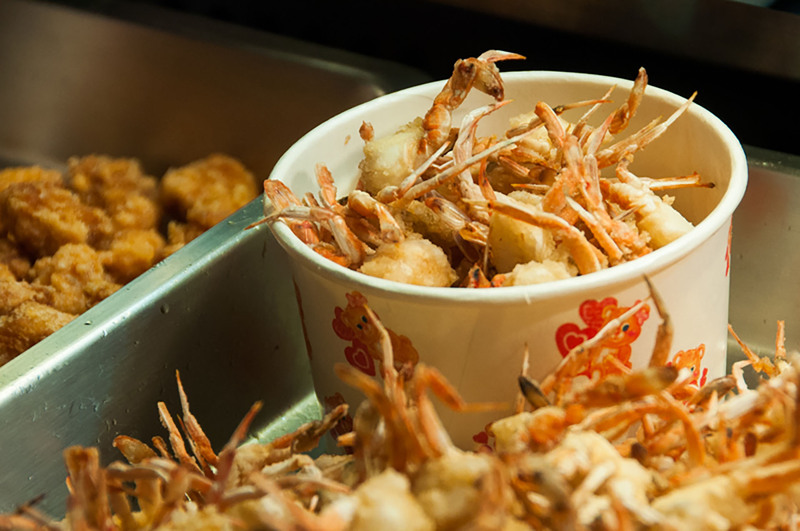 I did however, try the deep-fried baby prawns and crab which made tasty snacks. 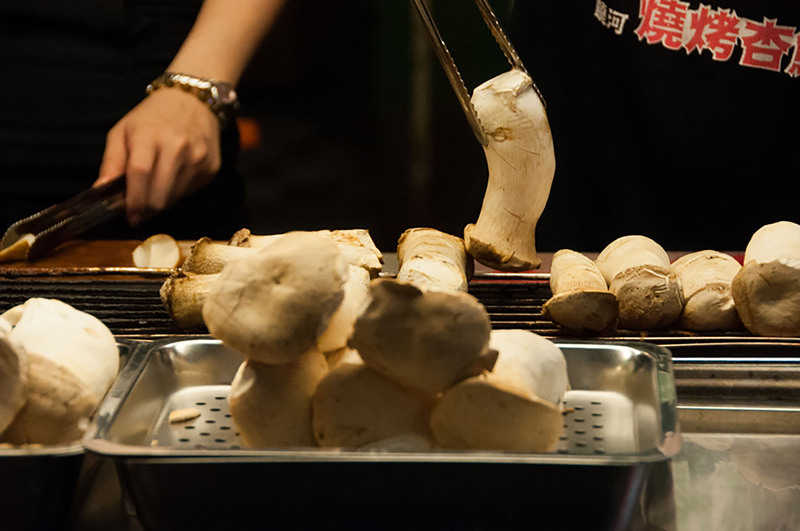 As the evening wore on, it became apparent that besides the few hot pot carts dotted about, there is an obvious food theme of grilled, peppered or fried (at most times a combination of two). And so, as tasty as those food were, I was relieved to find a drink stall that sold freshly pressed sugarcane juice instead. 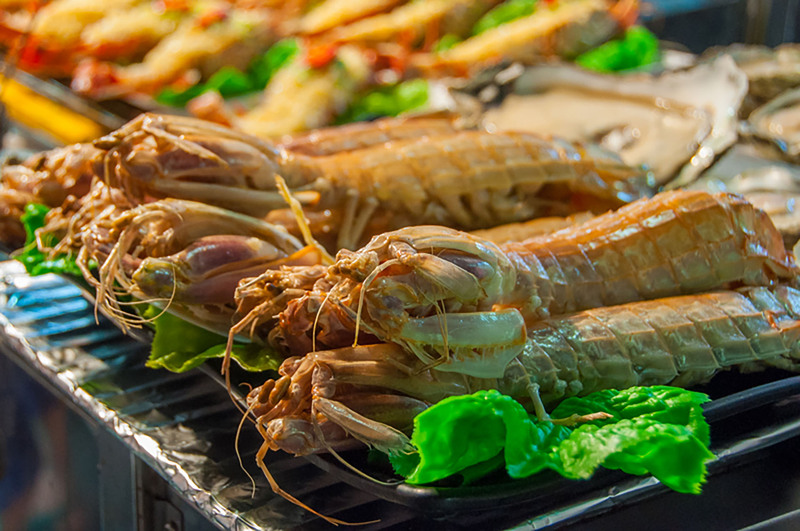 Ruifeng market is perhaps the most diverse in terms of food and entertainment. 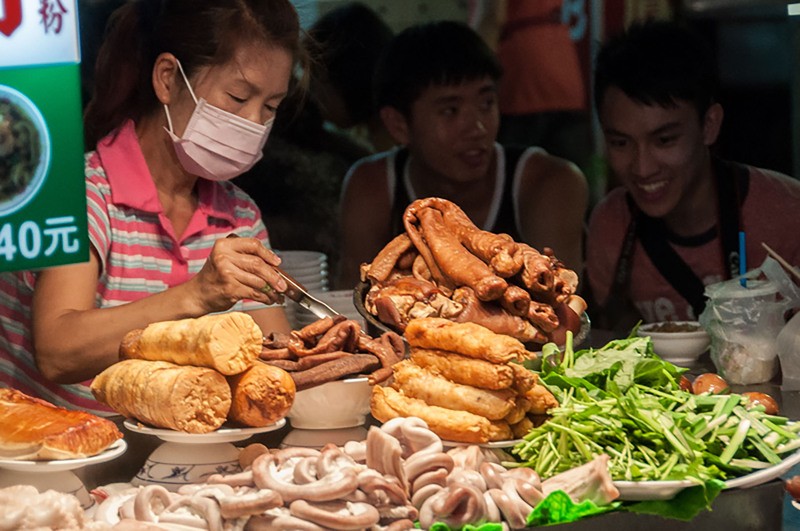 The outdoor market is huge and attracts a mixed local crowd of young and old. 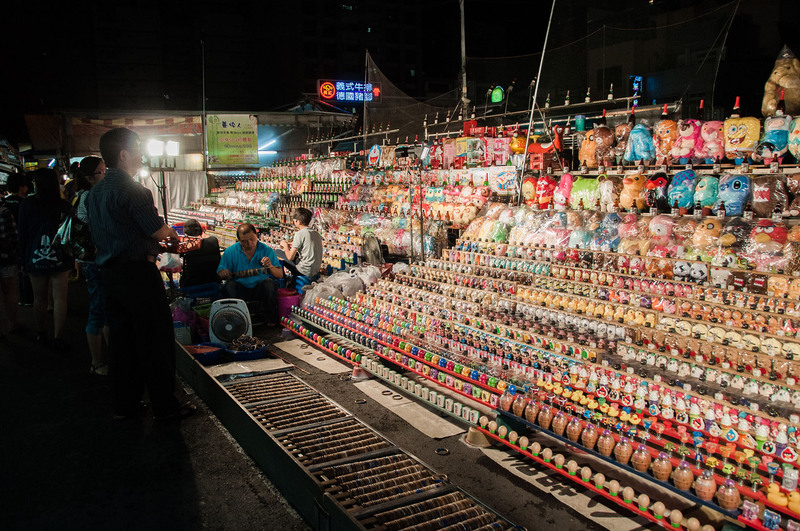 There is a section for everything from sit-down hot pot stalls, shopping, games for kids to food carts. 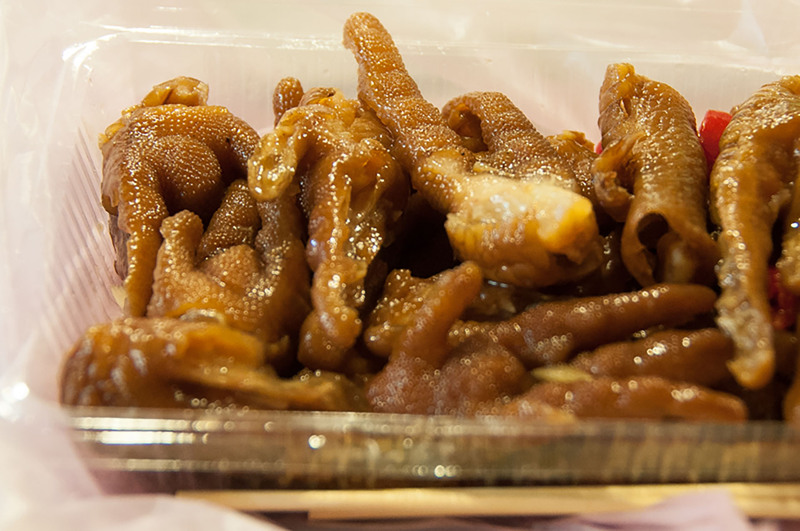 Here, I sampled their hot pot and even tried a small box of boiled chicken feet marinated in soya and chilli. 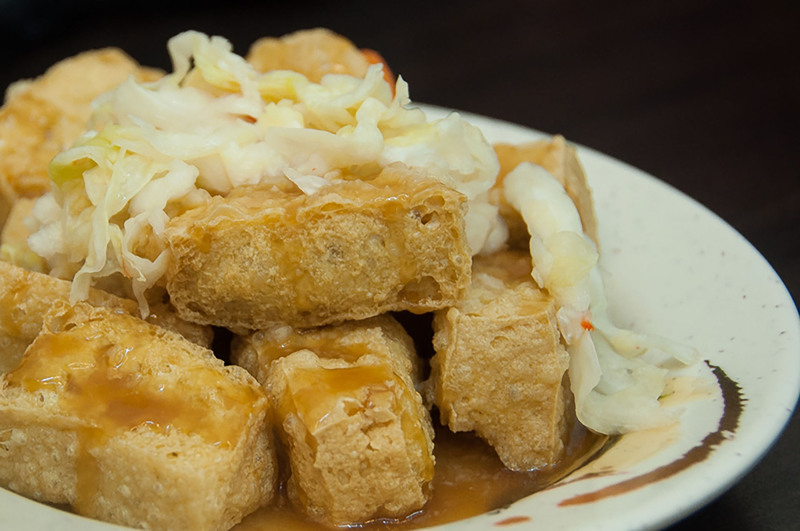 There is certainly no shortage of deep-fried snacks, smelly tofu or oyster omelettes. 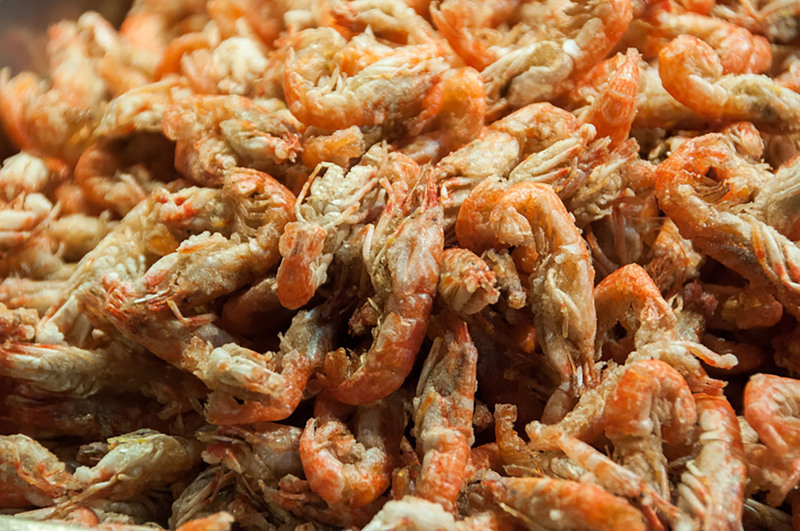 But on many occasions, I found my options limited to fried, boiled or glutinous. 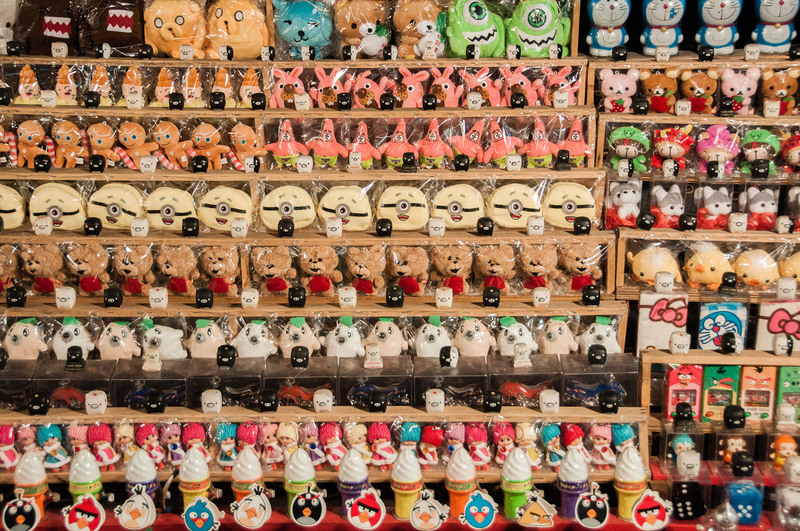 The one thing, however, that the Taiwanese street stalls did not fail to disappoint were their desserts. 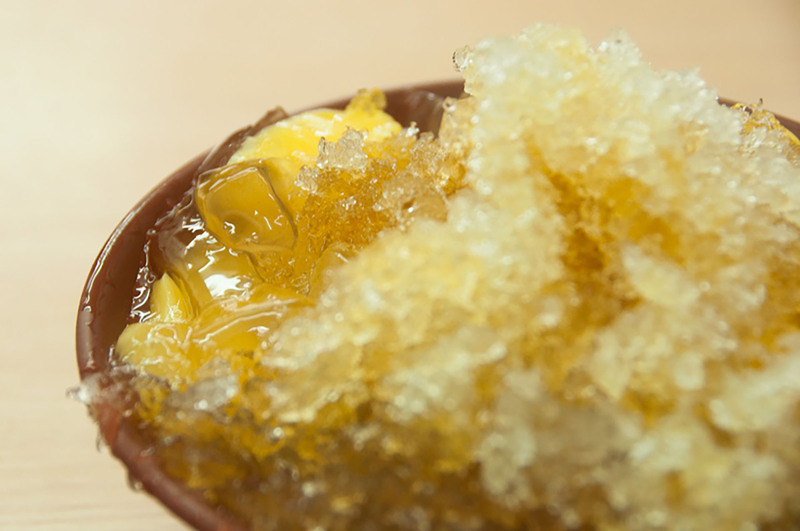 Glutinous balls with shaved ice and sweet drinks were plentiful and great after a hot meal. 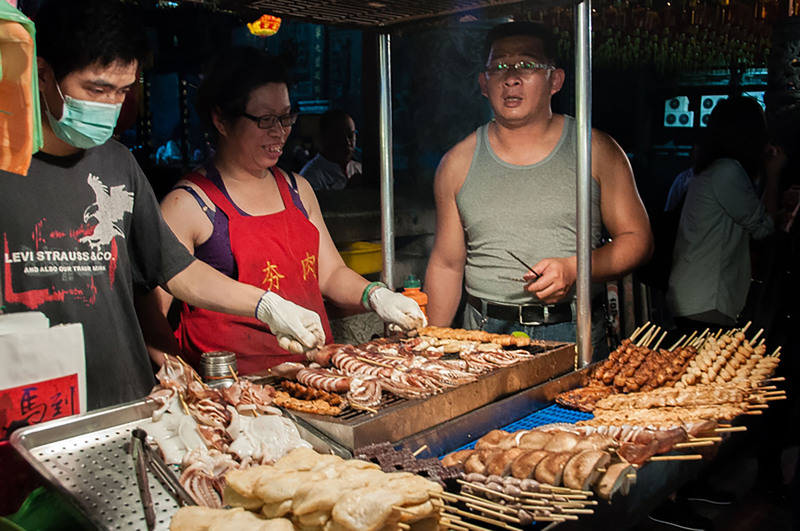 At the end of my food adventure in Taiwan, I was happy to have experienced their street food culture but I was also somewhat disappointed by the overall lack of punch in flavour and texture that my Malaysian bred tastebuds are so familiar with. Nevertheless, it was still fantastic to have been able to experience their local street food and would definitely love to be back some day to indulge in another bowl of mee sua!